The secret to a good night sleep is a great pair of pajamas. With an appliqued top and allover print bottom, getting him ready for bed will be a snap. Contrast stitching detail. Made of super combed fabric for softness and comfort. 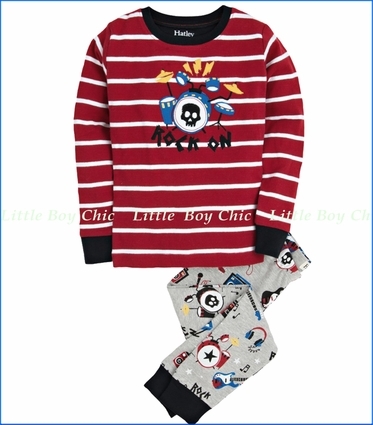 Baby ribbed fabric with elastic waistband and contrast cuffs. Embroidered signature on the back. This garment is not flame retardant and should be worn snug. Printed neck label on top with no tag to irritate.